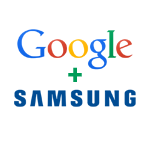 Through its official global blog, Samsung today announced a new patent licensing deal reached with Google, whereby both companies will have access to each other's existing patents and those filed over the next ten years, covering "a broad range of technologies and business areas." This isn't the first step Google has taken to ease the patent strain however - readers may remember that, in March 2013, Google began an initiative called the Open Patent Non-Assertion Pledge, which allows entities to access a pool of Google-controlled patents that the company promises not to sue anyone over so long as the entity using the patent doesn't first try to file a legal proceeding against Google for patent use. In August 2012, Google also opened up a "Prior Art Finder" to its patent search tool, and made European patents searchable. While the Samsung/Google deal may be substantially different from Google's past steps, it is another reminder that Google and others are still trying to solve the patent litigation puzzle. Dr. Seungho Ahn, Head of Samsung's Intellectual Property Center optimistically reminding readers "Samsung and Google are showing the rest of the industry that there is more to gain from cooperation than engaging in unnecessary patent disputes."